A Stadler KISS train at Batumi station, Georgia. Photo: Ivan Varyukhin / Shutterstock.com. The Government of Georgia has announced that Stadler has agreed to build a train manufacturing facility in the capital city of Tbilisi. 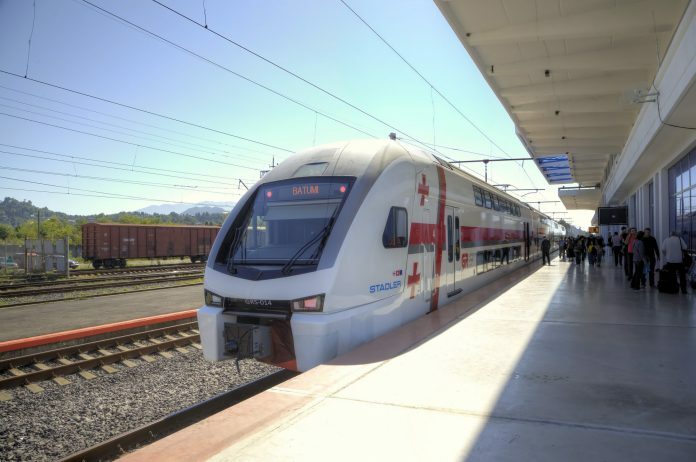 The new factory, of which three sites in Tbilisi are under consideration, will supply rolling stock to both Georgia’s railways and Tbilisi’s subway. Trains manufactured on the site, which will also be a repair facility, may be exported. The news follows a memorandum of understanding which was struck between the two parties in June, 2017, at which point Stadler announced its intention to invest in Georgia. Stadler president Peter Spuhler met with Georgian prime minister Giorgi Kvirikashvili to inform him about the company’s decision about building a subsidiary for rolling stock production on February 15.